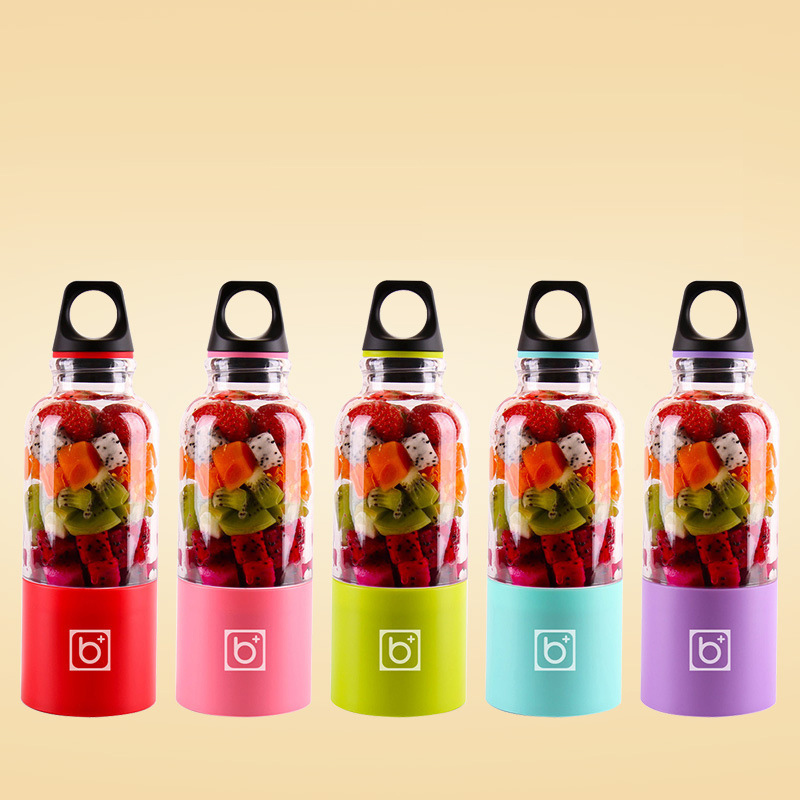 Successfully Added 500ML Rechargeable Juice Cup Portable Juice Blender ( Color Random) to your Shopping Cart. Multifunctional: Effortlessly pulverizes fruits, vegetables, superfoods and protein shakes within 30 seconds. Fashional Design: Waterproof and skidproof cup-base and hidden power lighting instructions. Rechargeable: Can be charged by power bank, laptop, computer or other USB devices, with built-in 2600mAh / 5V battery. Health and Safety: Made of eco-friendly & food-grade non-toxic PP & AS material, inverted switch which can ensure your safety when washing it. Portable and Light-weight design make you can use outdoors, camping, travel, yourself or family. Aim for 100 percent fruit juice.You can use a juicer to make your own healthy combinations.Invest in a good juicer, buy local organic produce and find out how good fresh juice is. Super Power And High Speed Motor:Effortlessly pulverizes fruits, vegetables at express speed. Simple Structure With High Sealing Performance:The components can be detached and the joint has the advantages of high connecting and sealing performance that makes the juicer cup work better. Easy To Operate:By press 2 sec ,the switch can be controlled to be opened and closed easily. Portable And Multi-use: Can be used as sport water cup and juice blender. Perfect For On The Go:Light-weight design make you can use outdoors, camping, travel, working or family. 3. According to your personal taste, add water or milk to 30%-60%, halve fruit and force their pulp through a sieve, discarding seeds and make them lower than 80% of the bottle. 4. Long press the button. It takes 30 sec to 1.5 min for tasty juice base on the softness of fruit. Gently shake the bottle at 10 sec to make it more delicious. 5.Turn off the machine and enjoy the fresh and healthy drink. 1.Do not use the product when charging. 2.Dont open the cup during operation.Never put your fingers or other objects into the feeding tube when the juicer is in operation. 3.The base can be washed,but not for immersion in water. 4.Not for child under 6 yeas old.